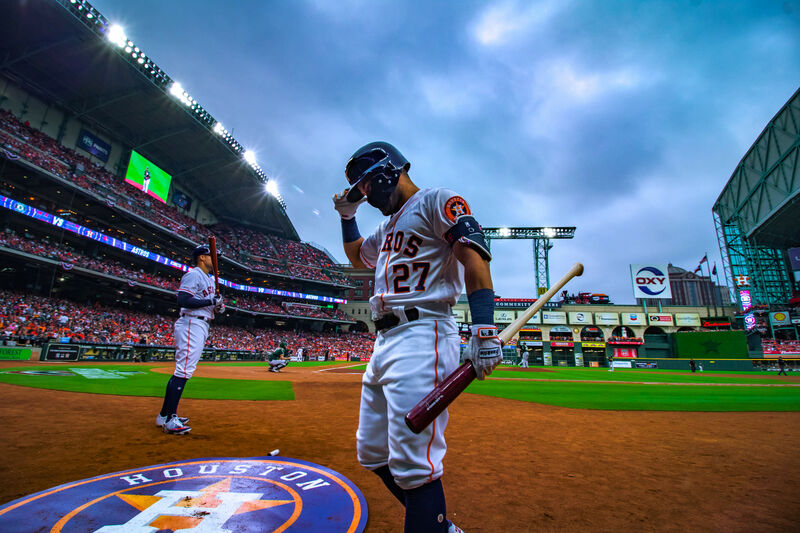 TOMORROW WE MAY BE PROVED WRONG, tomorrow we may look like fools, but today we’ll say it nonetheless: last night proved that the Astros are back. Back in the sense that the pitching is commanding, the bats are deadly again, the double-play throws to first always arrive in the nick of time. Yes, there were the old worrisome innings, like the sixth, when a bases-loaded situation failed to yield a single run, but if the ‘Stros haven’t quite regained their groove, they’re inching perilously close to it. Or so we say today. For our money, there is nothing better, in the clubhouse or the ballpark, than a night when Mike Fiers is on. It's a feeling of security that only the right-handed, four-seam flamethrower can create, and when Fiers' change-up is on too, well, bring on the Nats roster of .300 averages. As manager A.J. Hinch put it later, Fiers “had a little bit of everything to where he had total command of the game.” Translation: in seven innings of work, he gave up just four hits—three singles and a double—and struck out six. The Astros offense too was in fine form. A team that had almost made us forget it was a powerhouse wiped away all remembrance of sluggish days past with three towering home runs, solos by Messrs. Marisnick (421 feet to left field) and Stassi (425 feet onto the train tracks in left-center), and a three-run boomer by Bregman (410 feet to left-center). That last home run was particularly worrisome to Nats fans, as it was the 11th that reliever Shawn Kelley had allowed in the last 20 innings alone, a shocking collapse for the once sturdy reliever. We mention this for the simple reason that it feels good to talk about some other team's troubles for a change. Otherwise, win No. 77, which lifted the Astros’ won-loss percentage to .611, regaining for them the title of second-best record in baseball (from the Nats), was perhaps most succinctly summarized by Nats manager Dusty Baker. “The homers kinda did us in tonight,” he said. Yeah, kinda. “IT’S BEEN REALLY FUN. I wish I could stay here forever.” That was Mike Fiers, speaking not about last night’s game but being an Astro and pitching in Minute Maid Park, in an article this month in Gameday, the official Astros magazine, which might just be the best publication you aren’t reading. Why? Because the 8-times-yearly periodical is not available by subscription or online (maybe next year, they say). 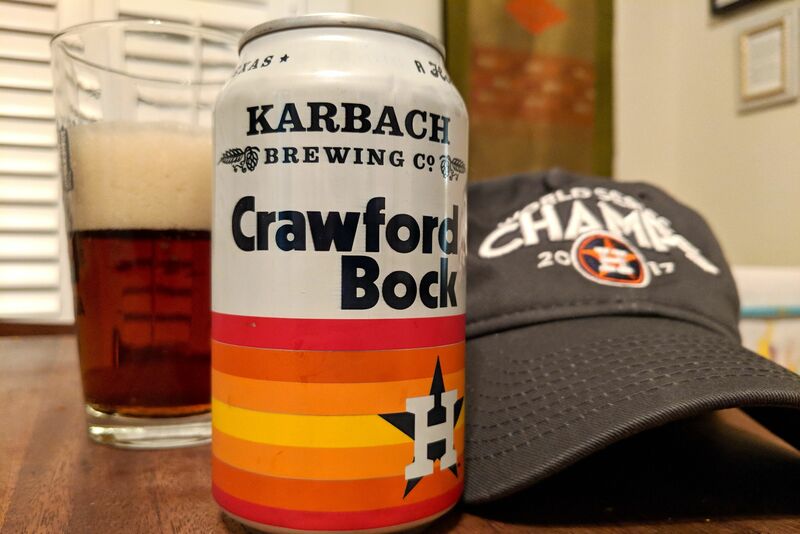 Indeed, as of now, it is only sold at the ballpark (cover price: $10), although lovers of all things Astros can call 713-259-8900 and have one shipped to them. And they should, because while the mag contains all the requisite boilerplate player bios and regular features (e.g., a minor league report), it also offers some intriguing glimpses into the lives of players both on and off the field. The Fiers article tells us everything from what was going through the pitcher's mind while throwing his 2015 no-hitter, to his dietary habits before games (“something light like fruit or fish”). 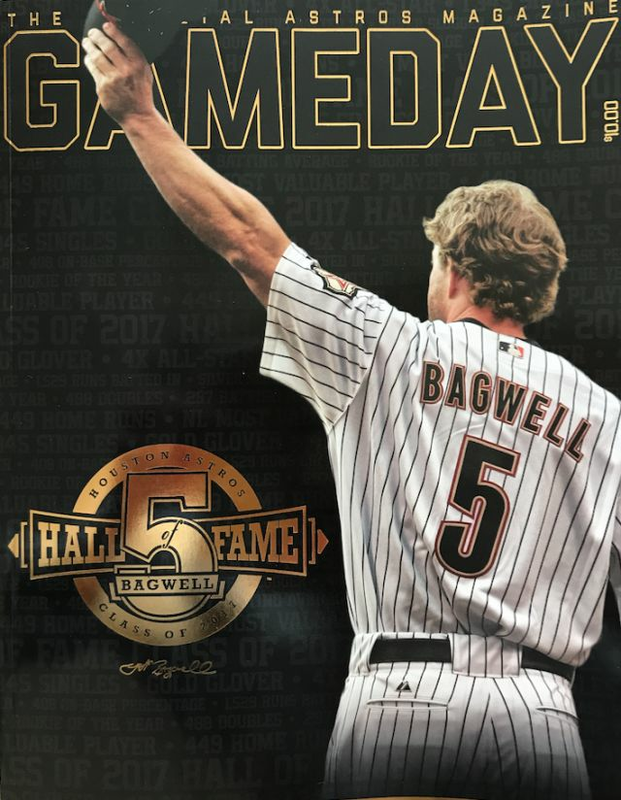 The August edition, a special issue devoted to Jeff Bagwell’s Hall of Fame induction, contains a nice profile of the slugger by MLB.com writer Brian McTaggart, formerly of the Chron, as well as editor-in-chief Dena Propis’s sweet reminiscence of a childhood spent arguing with her brother over the relative merits of Biggs and Baggs. In addition, there are also some beautiful photo essays, particularly of the players’ trip to Miami for the All-Star game. 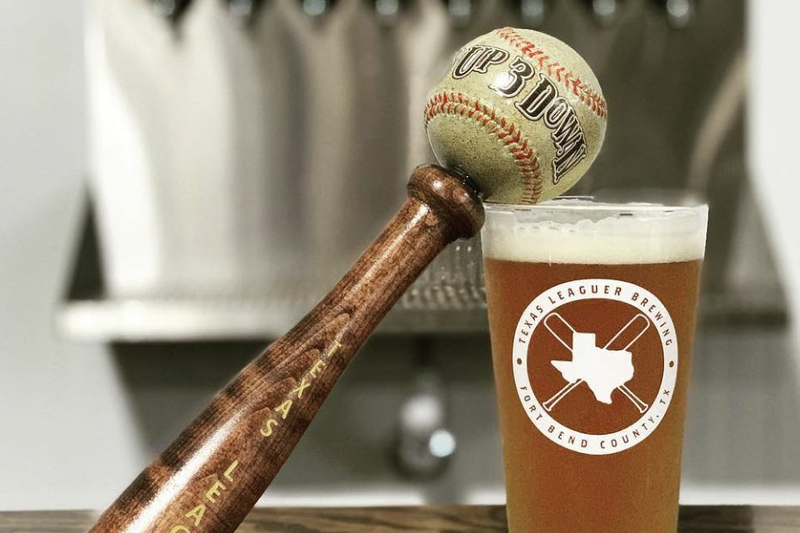 Elsewhere in the issue, one finds a roundup of favorite tweets (Joe Musgrove: “Anyone else stuck on 290 and wanna talk baseball?”), and a feature on what the Astros do in their off-time (Collin McHugh’s a foodie, Evan Gattis sleeps as much as he can, Jose Altuve likes dinner and a movie with his wife). 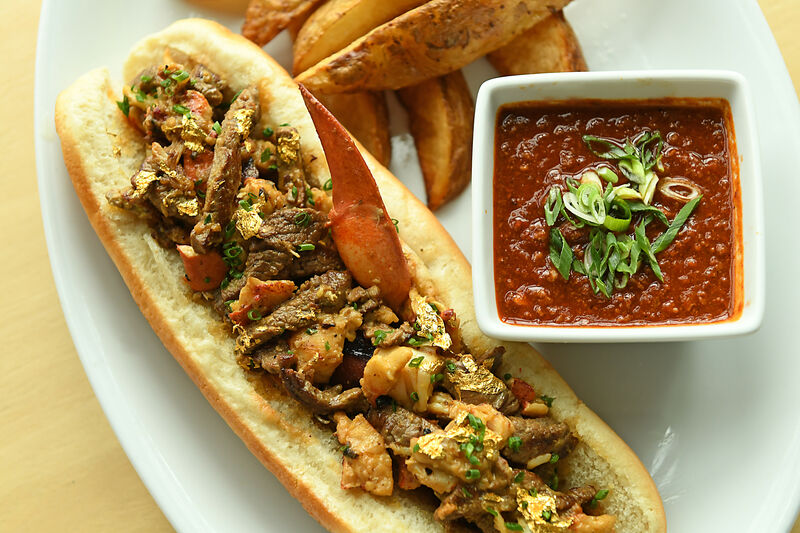 And throughout, shocking revelations abound: George Springer’s favorite Disney princess is Mulan, Dallas Keuchel would rather have unlimited tacos than unlimited sushi, and Carlos Correa is certain about which Astro is most likely to end up on reality TV. 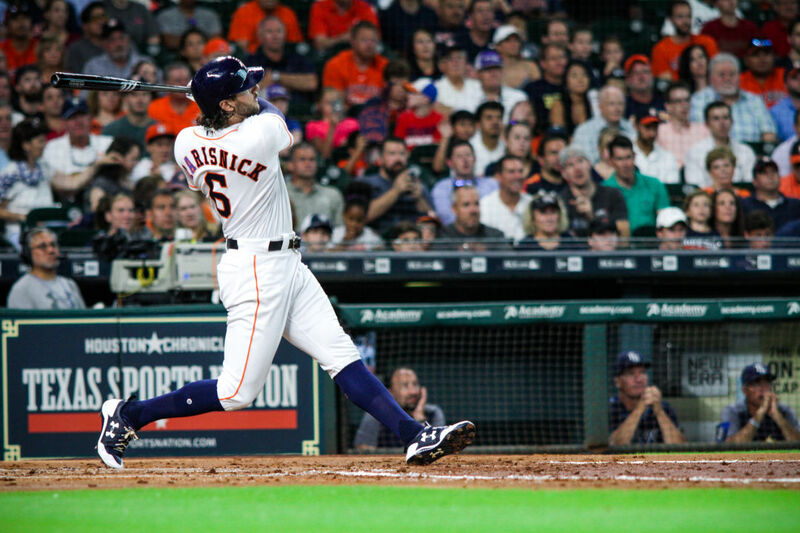 That would be Jake Marisnick, who as it happens looked every bit the part when stroking his home run last night. Reality, it seems, has nothing on the Astros this season.